Wael Al Sakka, the Lifeline Jordanian committee chairman, said that "Ansar 2 " aid convoy will start its trip to Gaza Strip on the tenth of May. “The convoy aims to break the brutal siege imposed on our steadfast people in Gaza”, Al-Sakka said in a statement issued on Saturday , adding that the convoy will head from Amman to Aqaba port then the Egyptian Nuweiba port and en route to Rafah crossing. The cost of participating in the convoy is 3500 dinars (about 5000 dollars) including expenses of the trip in addition to the contribution in providing aid to the Strip, Al-Sakka explained, saying that the funds will be allocated to establish a number of development projects and professional training centers in the Strip. 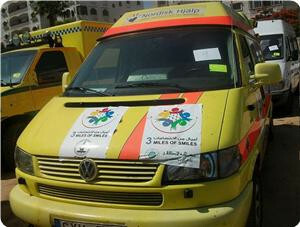 Al-Sakka called on the Jordanian people to participate in this convoy, whether in cash or by medicines and medical equipment, saying that the last date for registration is 15 April. A group of British and Irish activists have arrived in the Gaza Strip to show their solidarity with Palestinians living under siege in the Israeli-blockaded coastal enclave, Press TV reports. The second Irish delegation, called "Freedom & Friendship Delegation 2012," arrived in Gaza via the Rafah border crossing on Thursday evening. The visit is organized by "Derry friends of Palestine" from the city of Derry in Ireland. 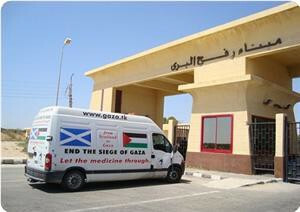 The first Irish delegation had entered the coastal sliver on Tuesday, bringing much-needed medicines for patients in Gaza. Another delegation from England, including students from Bradford, also arrived in Gaza. They have planned to work with the Irish delegation and hold seminars at different educational institutions in the impoverished territory. Pro-Palestinian activist Lauren Booth admired the patience, strength, and endurance of people living in Gaza. “I can’t stay away from Gaza because every time you come as an activist with open heart and you leave people say don’t forget us,” she said. Meanwhile, former British MP Martin Linton said that people in Britain support the Palestinians. “I just want people in Gaza to understand that more and more people in Britain are fighting for the cause of the Palestinians and particularly Gaza and it’s my job to make sure that the issue is raised constantly in the House of Commons in London,” Linton told Press TV. The delegations will stay in Gaza for a week to see the situation on the ground under the Israeli regime's persisting 5-year siege and visit different areas within the enclave and hold meetings with Palestinian officials. An international Asian convoy of pro-Palestine activists has arrived in Syria, en route to al-Quds (Jerusalem) to mark the Palestinian Land Day, Press TV reports. The activists arrived in the Syrian capital, Damascus, on Saturday. The Asian convoy is part of the Global March to al-Quds, which is scheduled to commemorate the Palestinian Land Day on March 30. The peace activists received a warm welcome from Syrians upon arrival in Damascus, a Press TV correspondent reported. They arrived in Syria after passing through Turkey, Iran, Pakistan and India. Khaled Abdulmajeed, head of the preparatory committee for the march, told Press TV on Saturday that activists from 60 countries will participate in the event. The Global March to al-Quds also condemns the Israeli occupation of the holy Palestinian city. On March 30, 1976, Israeli troops killed six Palestinians during a protest against the Israeli occupation of the Palestinian lands. 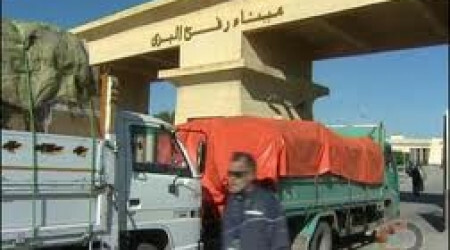 An Arab parliamentary convoy arrived Thursday in Gaza through the Rafah crossing. Abdul Qader Samary, chairman of the Arab committee to lift the siege on Gaza, said, "we will continue struggling to liberate Palestine from the enemy who acts outside any laws." He stressed the necessity to achieve the Palestinian reconciliation. Ahmad Bahar, on behalf of the parliament, welcomed the delegation in Gaza and called for the continuation of delegations to visit Gaza to break the Israeli siege on Gaza. 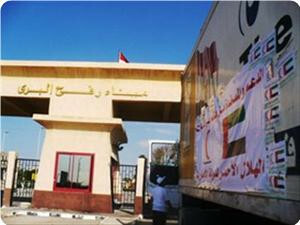 An Egyptian security source in Rafah told Ma’an that the convoy consists of 28 tons of medicines and medical equipment and seven truckloads of clothes. The aid was transferred from Egyptian trucks to Palestinians at the crossing. The source added that the delegation includes 22 members of the Arab parliamentary. This is the third convoy being sent by Arab parliamentarians. 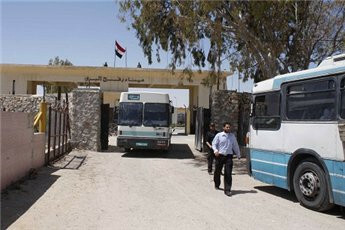 On Wednesday, Egyptian authorities allowed four tons of medical aid through the Rafah crossing. It was sent by the tenth "Miles of Smiles" convoy. The Miles of Smiles 10 humanitarian convoy managed to enter the Gaza Strip on Saturday via the Rafah border terminal, between the Gaza Strip and Egypt, carrying humanitarian supplies. Local sources reported that all of the 124 members of the convoy managed to enter the coastal region, and that they intend to remain in Gaza for several days in order to distribute the supplies. The convoy entered Gaza while Israeli continues its offensive against the Gaza Strip killing sixteen Palestinians and injuring more than 30 in less than 24 hours. Miles of Smiles managed to enter the Gaza Strip to deliver essential supplies in all of it 10 trips; Miles of Smiles 9 made it into Gaza on February 6, 2012. 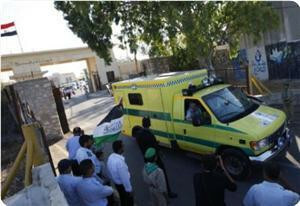 The first Miles of Smiles convoy made it into the Gaza Strip in mid-November of 2009 after being stranded at the Egyptian side of the Rafah Border Terminal for 25 days. At the Rafah Crossing between Egypt and Israel, medical supplies go through and wounded civilians get aid. 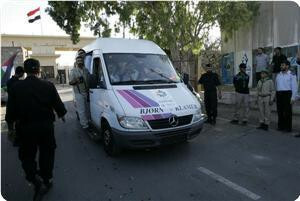 The Miles of Smiles aid convoys to Gaza would send three new convoys to the Gaza Strip including one for women in March. Issam Yousef, the coordinator of those convoys, said in a press release on Saturday that twenty Jordanian women would take part in March’s convoy, which would also witness the participation of women from various other Arab and Islamic countries. He explained that two others would be organized in April and May, the first for youth in the age category 15-20 and would specifically arrive from South Africa. He said that the idea is that those youth would symbolically contribute in the development of the enclave. Yousef noted that the convoy in May would be allocated for leaders from various Arab and Islamic countries, adding that he would try and convince western leaders to take part in that convoy. The coordinator said that the convoys target inspiring hope among Gazans and let them feel that the world did not forget them. “Our visits to Gaza are not for picnicking but rather for economic, political, informational, and relief purposes in addition to documenting Israeli crimes against Gaza,” Yousef concluded. Organizers of the European aid convoy “Wafa’a for Palestine” plan to open qualitative and vital projects in Gaza Strip during their current visit, coordinator of the convoy Amin Abu Rashed said. Abu Rashed, who is also the head of the European initiative to remove the separation wall and settlements, told Quds Press that the convoy members would launch vital projects in the educational and health sectors. He said that the convoy would equip a school for special needs especially after in a past visit the convoy organizers obtained a 100 dunum land for that project in Rafah. He said that the other project would be a special hospital that would detect early diseases of pre-born infants and pregnant women, adding that the project was very important in light of the Israeli forces’ use of internationally-banned chemicals in their latest war on Gaza. The coordinator of the convoy said that support would be extended to the campaign to repair damaged houses in the coastal enclave. The convoy organizers would finally contribute to building a dairy factory after the previously only one in Gaza was razed to the ground in the Israeli war on the Strip, Abu Rashed said, hoping that the new factory would provide work opportunities for the unemployed and would enable the Strip to be self-sufficient in this field. He hoped that a root solution would be found for the power crisis in Gaza, urging Egypt to help end this crisis. 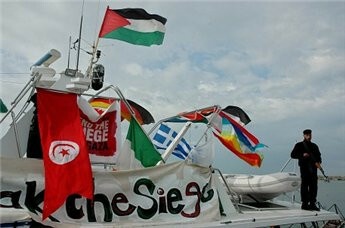 The convoy includes 75 foreign solidarity activists who are scheduled to remain in Gaza for a week. A Turkish medical delegation landed in the Gaza Strip on Sunday after crossing the Rafah border terminal. Local sources said that the 15-member team would visit Gaza hospitals and get acquainted with medical conditions. The arrival of the team coincided with the arrival of another aid convoy “Wafa’a for Palestine” in yet another reflection of greater Arab and international sympathy with the besieged coastal enclave. A European aid convoy is expected to arrive in Gaza Strip on Sunday through the Rafah border crossing. Organizers of the convoy said that the 75 members of the convoy from Holland, Belgium, Italy, Spain, Austria, Denmark, Britain, and France have started to arrive in Cairo as of Friday. They said that the European coordination of Palestinian humanitarian assistance was the one organizing the convoy, which is also co-organized by charitable societies in Europe. 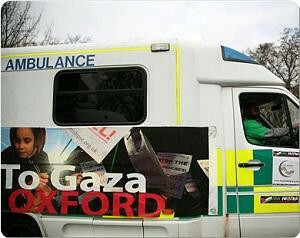 The convoy aims at alleviating the suffering of the Gaza people who have been under siege for six years. The convoy members are to stay in Gaza for one week during which they would participate in inaugurating numerous qualitative projects especially in the health and educational fields. Kia Ora Gaza is sending another team of Kiwis to join the next international aid convoy to break Israel’s cruel siege on Gaza. The Viva Palestina Arabia 6 convoy departs London on 22 April to travel through Europe and Turkey and then via Egypt to reach Gaza on 15 May, Nakba Day – the day commemorating the catastrophe in 1948 when Palestinians were forced from their land into exile and often refugee camps. As well as calling for the right of Palestinian return, this convoy will focus on the future: a mix of vehicles will carry construction materials and equipment to help restore the schools, hospitals, homes and other infrastructure destroyed by Israeli bombings and besiegement. In tandem with Egypt’s democracy uprising, this new convoy could crumble the Israeli blockade and open Gaza to the world. Our team of four Kiwis, who are featured on the sidebar of kiaoragaza.net, will be part of this historic international effort for peace and justice. Until there is justice for Palestine, there can be no peace in the Middle East. And until there is peace in the Middle East, there can be no peace in the world. As Viva Palestina founder, George Galloway, puts it: “Palestine has become the touchstone for those who care about international justice the world over. This new aid convoy carries on the valiant siege-busting efforts of many international missions to break through Israel’s unrelenting land, sea and air blockade of Gaza, often called the “world’s biggest prison camp”. This will be Kia Ora Gaza’s second international convoy. The first, in 2010, broke through the siege via Egypt with NZ$7 million of medical aid donated by people in over 30 countries. Now we’re going back for another go – and we aim to end the siege for good. To succeed, we need your practical support. Please help us finish the last lap of our $50,000 Gaza Appeal. Go to the sidebar of kiaoragaza.net to see how to donate. The European aid convoy Miles of Smiles-9 reached Gaza Strip on Monday evening via the Rafah border terminal with Egypt to an official welcome. Coordinator of the convoy Issam Yousef said that the convoy comprises 64 solidarity activists from Bahrain, Tunisia, Jordan, Britain, South Africa, and Egypt. He said that the convoy carries with it medical assistance to the tune of 2.7 million dollars including ambulance vehicles, medicines, and other medical equipment along with generators for hospitals and medical clinics. Miles of Smiles-8 convoy arrived in Gaza on 14 January in the company of 48 Arab and foreign solidarity activists and carried two tons of medical assistance along with electric wheelchairs for the disabled. As a response to the emergent assistance call of the local health officials in the Gaza Strip, suffering from the illegal blockade, concerning the supply of out-of-stock and immediately needed medical equipment and medicine in the region, the Government of the Republic of Turkey donated a humanitarian medical assistance shipment for the benefit of the Palestinian people. The shipment, containing 43 different types of medical equipment and 57 different types of medicine, worth 1.6 million USD, of 190 pallets, weighing around 45 tons, was delivered to the Gaza Strip yesterday (2 February, 2012), under the supervision of the representatives of the Turkish Cooperation and Development Agency (TIKA). This emergency humanitarian assistance was successfully conducted with the cooperation of the relevant institutions of the Palestinian National Authority and the local authorities in the Gaza Strip, as well as the crucial assistance of the World Health Organization, which facilitated the delivery of the humanitarian aid shipment from the Israeli port of Ashdod and the distribution of the mentioned assistance to the Palestinian people in the Gaza Strip. 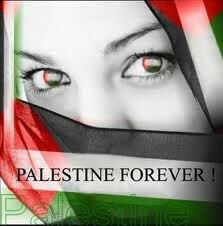 As in the previous years, upon the request of the relevant Palestinian authorities, the people and the Government of the Republic of Turkey, to the best of their capacity, would continue to provide similar humanitarian assistance to the fraternal people of Palestine, in the future as well. 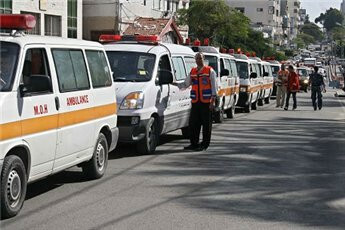 The Egyptian Red Crescent on Thursday sent 29 ambulances to Gaza, director Jaber al-Arabi said. 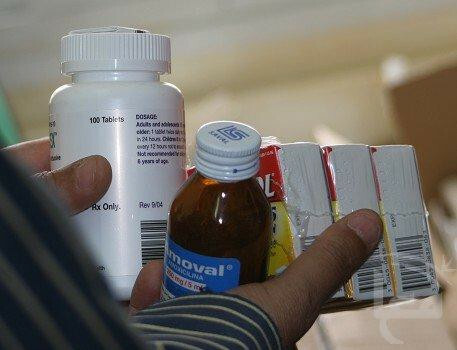 The donation comes a day after the organization sent one ton of medicine to Gaza through the Rafah border crossing, and coordinated the delivery of Kuwaiti medical aid to the besieged enclave. The European aid convoy “Miles of Smiles – 8” arrived in Gaza on Saturday evening via the Rafah border crossing with the participation of 48 solidarity activists from Arab and foreign countries. Issam Yousef, the coordinator of the campaign, said that the convoy carries with it two tons of medical equipment and 120 electric bicycles for the disabled. He said that the convoy was the latest in a series of aid convoys, recalling that seven earlier ones had arrived in Gaza on separate intervals carrying similar material along with baby milk, medicines, and special needs vehicles. He said that the convoy was attempting to break the siege imposed on the Gaza Strip for the past five years, adding that the convoy would continue to remind the world with the blockade that led to worsening health and living conditions in the absence of attention on the part of the world. A European convoy arrived in the Gaza Strip on Saturday evening, bringing two tons of medical supplies through the Rafah crossing with Egypt, organizers said. The eighth "Miles of Smiles" convoy includes 48 members carrying two tons of medication and 120 specialized bicycles for the disabled, coordinator Issam Yousef said in a statement. The convoy entered Gaza after coordinating with Egyptian authorities, Yousef said. The previous seven convoys brought food and medical supplies to the coastal enclave, which has suffered through years of an Israeli and Egyptian blockade aimed at weakening Hamas. Yousef says more convoys are being planned in the hope that their arrival will focus the world's attention on the Palestinian cause in general and the blockade of Gaza in particular. Around 100 international activists will arrive in the Gaza Strip on Tuesday in the eighth "Miles of smiles" convoy bringing medical aid to the besieged population, coordinator Isam Mustafa said. The activists will bring medicine worth 3 million Egyptian pounds ($497,000) as well as ambulances and cars adapted for people with disabilities, Mustafa said in a statement. Activists from Tunis, Morocco, Bahrain, Jordan, Algeria, France, Poland and Britain are traveling with the convoy to show solidarity with Palestinians and break Israel's illegal siege of the enclave.